Happy What I’m Reading Wednesday, friends! I am truly excited to deliver you another Guest Post this week, from Dan of Frost Magazine. While much of my time is (obviously) spent with a book in hand, it may surprise some of you to learn that I am a big film fan. 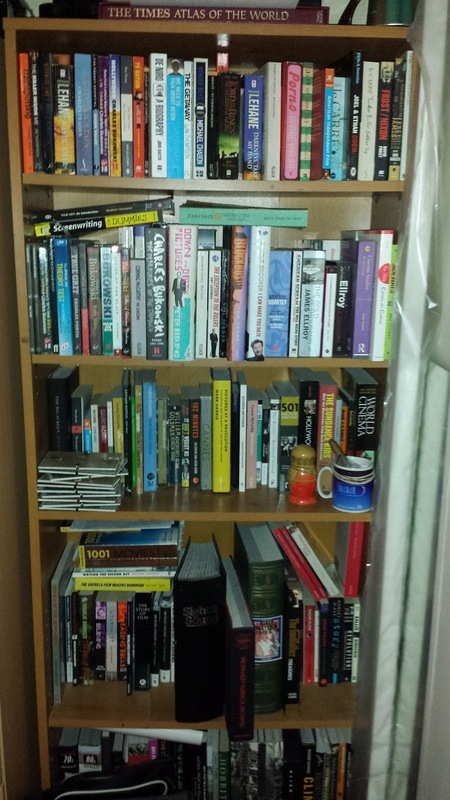 And I do not believe that reading and film-watching are mutually-exclusive activities. So, handing this week’s What I’m Reading Wednesday over to a cinephile and film reviewer, Dan will be giving you a lesson in how to indulge a love of the moving image through the written word. You can check out Dan’s recent film reviews from Sundance Film Festival (among many other excellent reviews) at Frost Magazine. Hello there! I’m Daniel – drinker of coffee, watcher of films, procrastinator to the extreme and (when I get the chance) an avid reader. I work a fairly humdrum job in retail, which makes me feel like a character in a Richard Yates novel: the more I hate it, the more valuable I become to the company. At least that’s what I’m told. I studied Film in Southampton for three years, which opened the door to the wonderful experience of trailing around major London-based production companies with my CV trying to get some attention. Exhilarating! That said, I am very fortunate to be writing film reviews for Frost Magazine, run and edited by the lovely Catherine Balavage who gave me a fantastic opportunity that I am very grateful for. I just recently attended my first festival on behalf of the magazine which was a wonderful, if frankly overwhelming, experience. It’s not everyday that you get to fudge a question in front of one of Britain’s most prolific filmmakers! (Michael Winterbottom if you’re curious). I keep having a terrible thought that sooner or later someone is going to realise that I’m an amateur who has stumbled into a cinephile nirvana and is going to confront me and show me the door with haste. But I’ll worry about that later. For now, I’ve got my foot in the door, doing something I love and enjoying every moment of it. I hate to be boring and follow the crowd but I have to agree with the popular opinion that The Wire is The Greatest TV Show Ever Made. 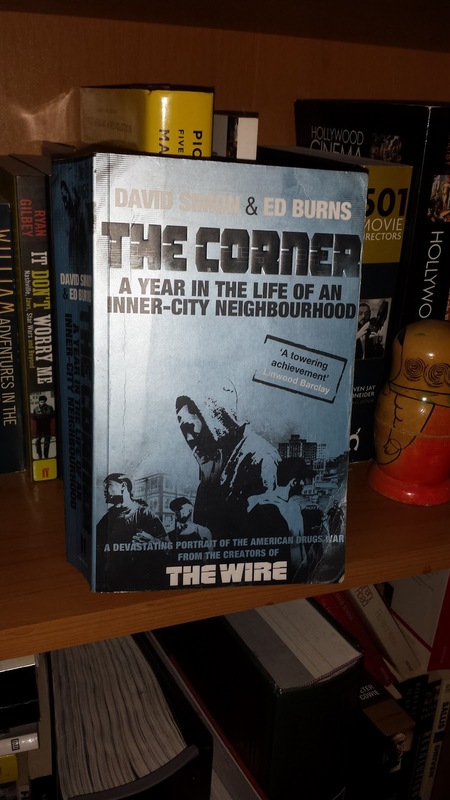 Before moving onto his television epic, David Simon was a long-standing crime reporter for the Baltimore Sun and, along with former homicide detective Ed Burns, embarked on a year-long exploration of the ‘corner’, an inner city, open air drug market that serves as the centre of the world for those trapped within its machinations. Trapped individuals are a recurring theme in Simon’s work and it’s never felt as tragic and despairing as this. Though presented as a work of fiction, the book follows a diverse array of real-life individuals, either in the throes of addictions and crime, or struggling to break free and keep clean. A central storyline revolves around a habitual drug addict, his ex-wife and her attempts to stay sober, and their teenage son who is struggling with the grim choices that confront the youth in this environment. All of this does make it sounds like a slog to get through, but if you have any experience of Simon’s work, either written or on the screen, you know that his style and tenacity of writing is highly-addictive and thought-provoking in equal measure. It makes a great companion to his earlier book, Homicide, a similar year-long stint with the Baltimore homicide division. If you enjoy hard-hitting non-fiction, then you really have no excuse for not getting hooked by this. 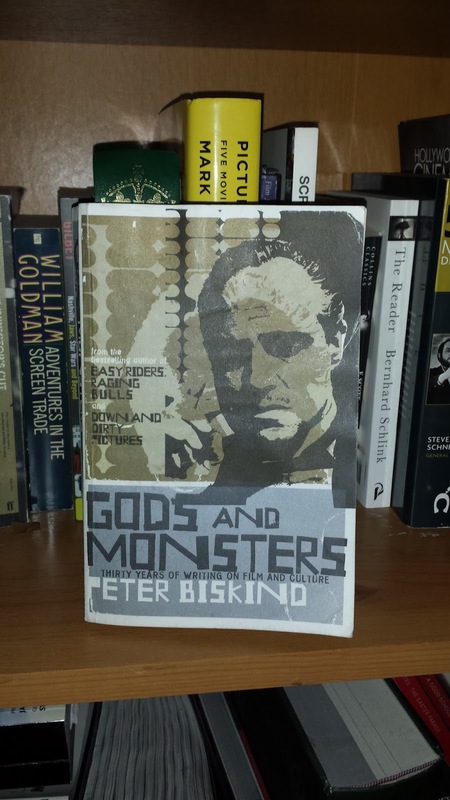 As I mentioned earlier, quite a bit of my book collection is devoted to film criticism and it is rarely as addictive, intelligent, and often surprising, than when it’s that of Peter Biskind. Starting as a contributor to multiple publications, such as The New York Times and Rolling Stone, Biskind found huge acclaim with Easy Riders, Raging Bulls, a tell-all account of the New Wave of American cinema that started in the late-sixties and early-seventies, before the Wave rolled back on itself in the eighties. The book was detailed and well-researched, as well as somewhat scandalous. Biskind was quite merciless in his portrayal of some of the most respected names in American cinema as complete bastards to their friends, lovers, and collaborators. This book, Gods and Monsters, is a collection of his articles and reviews across 30 years and multiple publications, ranging from cover articles to detailed analysis of McCarthy-Era cinema, and even the sexual politics of George Lucas films. Biskind’s no-nonsense approach is a large factor in why I find him so readable. As odd as it sounds, there is something exciting about having your status quo challenged, and Biskind’s intelligent and authoritative prose is a compelling and entertaining read, even when you may not agree with his viewpoints. Fans of The Deer Hunter may wish to breeze past this one, as he takes the small but vocal side of critics and audiences who consider the Best Picture Oscar winner to be an over-rated, racist, and simplistic slice of comfort for post-Vietnam America. One of the great things about being a cinephile is the knowledge that you will never see every great film. There will always be something else to see, to explore, and to discuss. Reading the works of established critics such as Biskind, Mark Cousins, and Kim Newman, are a wonderful reminder of a rich and varied world that I have yet to visit. And I am happy to take my time getting round to it, knowing that I’m in good company on the trip. There’s always an artist or a talent whose name deserves to be called out aloud from the highest peaks, and yet the joy of their work is so intoxicating that you wish you could keep it a secret all to yourself. 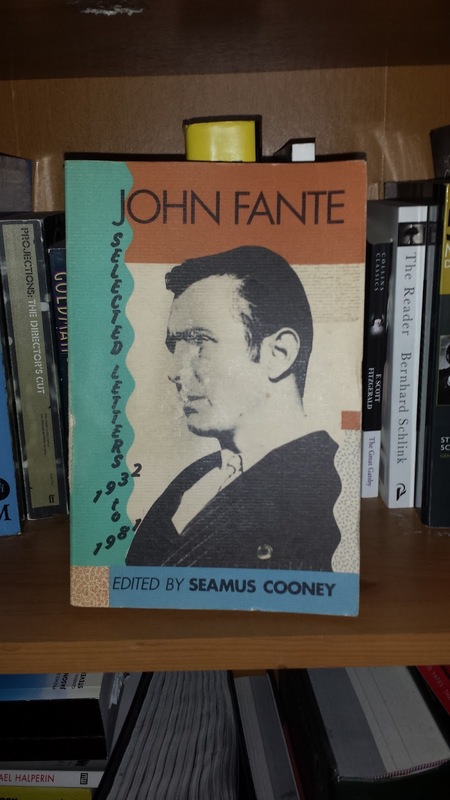 For me, John Fante is such a writer. I was introduced to his most recognised work, Ask the Dust, in my first year of university, and to say that it was a revelation is an understatement. There was a beat, a passion, a lust for his writing, that left me feeling dizzy, stopped time, and forced me to go back and re-read entire paragraphs just to double-check that I had read something that good. Naturally, I proceeded to track down most of his back catalogue and fell head-over-heels for it, most notably the quartet of novels centred on his fictional alter-ego, Arturo Bandini – a foolhardy, wannabe writer with delusions of grandeur and an unhealthy desire for unattainable women. The more I read of Fante, the more I discovered what an uphill struggle his life and writing career were. He struggled to break into the publishing world and, even then, his work was obscure to the public-at-large. He turned to hack Hollywood screenplays, before dictating his last novel as his health rapidly deteriorated. Selected Letters comprises correspondence between Fante’s family (his mother in particular), publishers, and icons of publishing. In his personal writings, readers have identified the recurring themes of fanatical obsession with his craft, and unwavering devotion to his family and Catholic background. This sense of determination practically leaps from the page, and it is that determination that has thankfully kept his work in view. Not long before Fante’s death, his work was quoted as central inspiration by Charles Bukowski, another author who poured his personal life into his work. Bukowski spoke of Fante in interviews, referenced his work in his own novels, and met Fante for frank and intimate discussions, even writing a poem about the experience. It’s certainly the most prolific display of admiration from one author to another that I know of. I’ve read volumes of Bukowski’s own personal letters and found their insights into the life of an artist fascinating. Fante’s obscurity to most modern readers is grossly unfair, so anything that I can get my hands on to expand his reputation (either just for myself or to pass onto others), I’m naturally going to relish. A big thanks to Dan for a brilliant post!